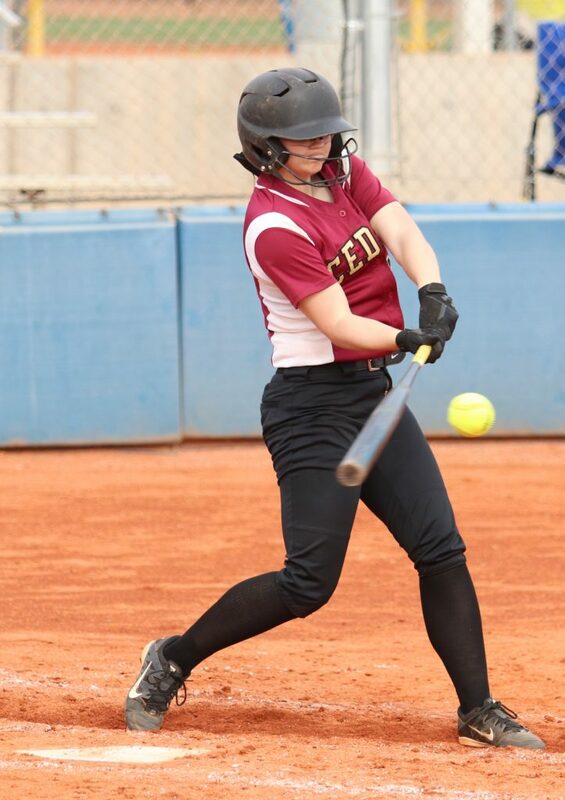 CEDAR CITY — Visiting teams cruised to easy wins in all three of the Region 9 softball matchups Tuesday, the opening day of the regular season. Cedar won at Dixie, Canyon View won at Hurricane and Snow Canyon shut out Pine View. 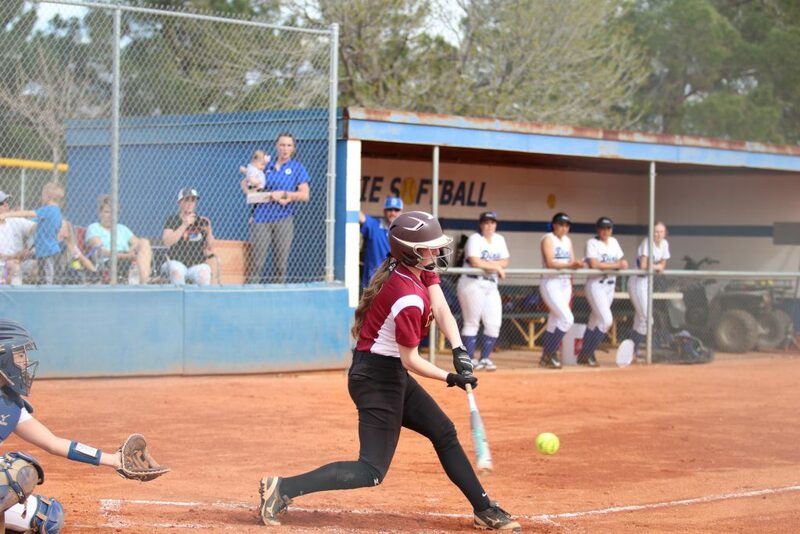 At Dixie, the Cedar Lady Reds defeated the Flyers 12-2 in six innings. The game was originally scheduled to be played at Cedar City but the venue was switched to Dixie High due to soggy field conditions in Cedar. Cedar shortstop Japrix Weaver doubled to lead off the top of the first inning. Kelsi Oldroyd then followed with a double on the next pitch, and Brittnie Simcox drove in Oldroyd to give the Lady Reds an early 2-0 lead. Cedar went on to add more runs in the third, fifth and six innings, eventually building the 10-run lead that ended the game one inning early. The Lady Reds amassed 12 hits. Denim Henkel and Simcox each belted a solo home run. For Dixie, Kylee Terrell hit a solo homer in the fifth inning. 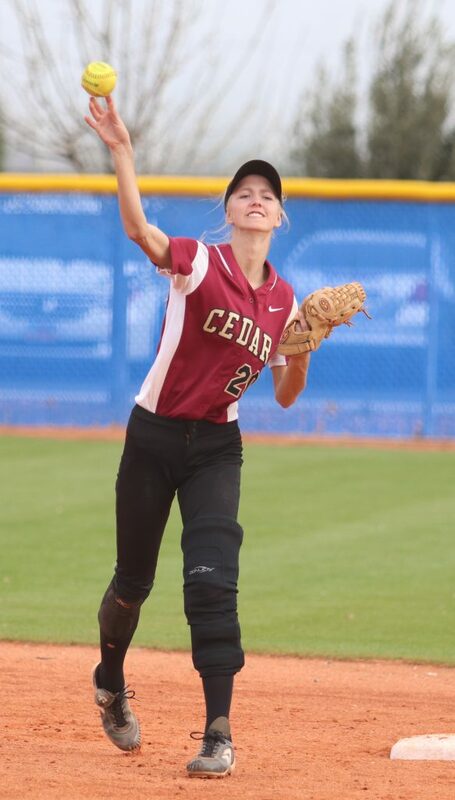 Starting pitcher Kenzie Waters threw all six innings and picked up the win for Cedar, while Dixie starter Joslyn Bundy took the loss. At Hurricane, Canyon View senior Jordan Nielson threw a complete game one-hitter, as the Falcons shut out the Lady Tigers 6-0. 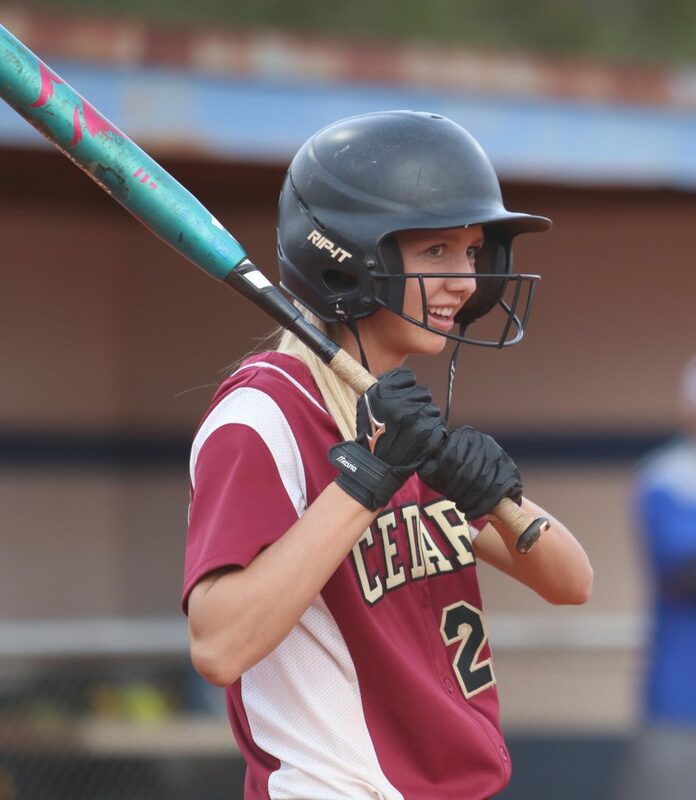 Neither team scored in the first three innings, but Canyon View’s Sidney Webster knocked a three-run homer in the top of the fourth to put the Falcons ahead 3-0. Canyon View added its other three runs in the sixth inning. Chantell Pearson pitched the entire game for Hurricane, giving up six hits and striking out seven. 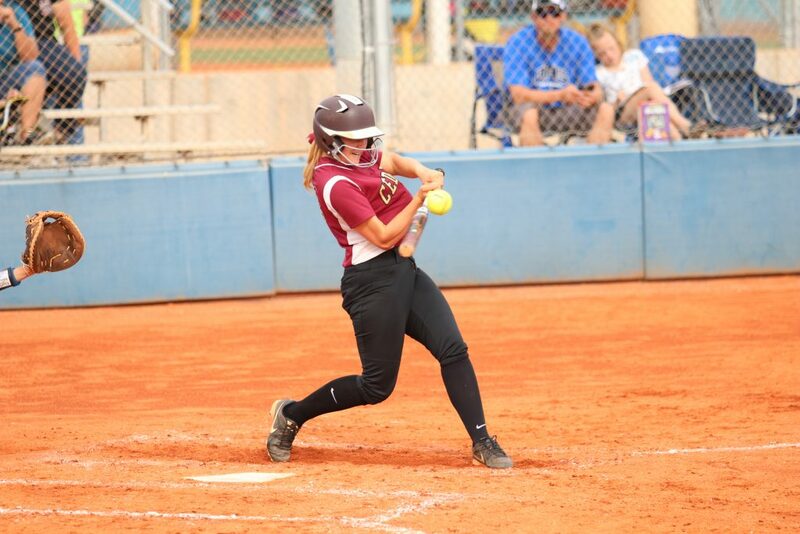 At Pine View, the Snow Canyon Lady Warriors posted a decisive 12-0 win over the Panthers. Starting pitcher Payten Jensen went the distance for Snow Canyon, allowing just two hits, no walks and striking out 12. The Warriors got on the board in the top of the first, thanks to a bases-loaded double by Kambrie Stuart that brought in three runs to make it 3-0. Snow Canyon picked one run in the third inning and a couple more runs in the fourth, thanks to a two-run homer by Emma Bingham. The Warriors invoked the mercy rule by adding six more runs in the fifth, getting four singles, a sacrifice fly and having two batters reach base safely on errors. 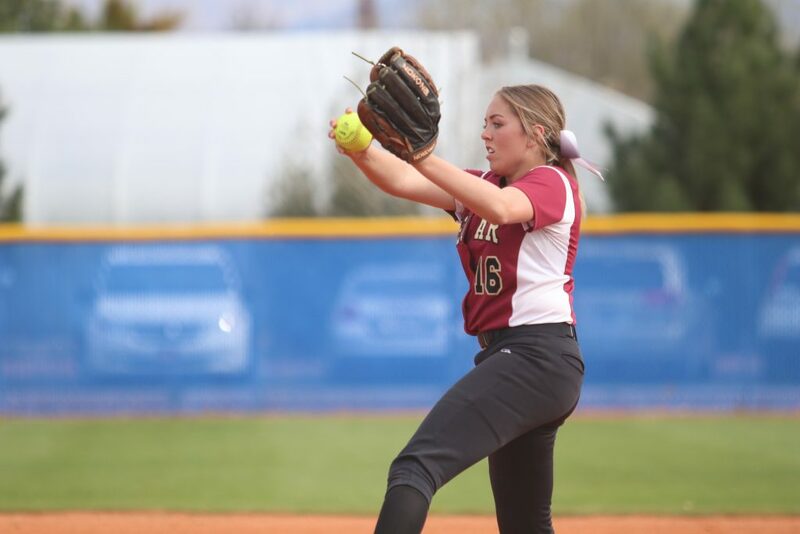 Audrey Lester was the losing pitcher for Pine View. Friday’s schedule is as follows: Pine View plays at Canyon View at 3:30 p.m., Desert Hills plays at Hurricane at 4 p.m., and Snow Canyon plays at Dixie at 4 p.m., with Cedar having a bye.